Straight out of the Sonic the Hedgehog panel at South By Southwest in Texas this afternoon is a brand-new trailer for Team Sonic Racing. The six month delay has most certainly improved the game, as this trailer shows. Watch the new footage and check out the robust kart customization features Team Sonic Racing possesses. With less than two weeks until Yoshi's Crafted World's release date, Nintendo has launched a new trailer/commercial for the game. Not only can you run in this game, but you can ALSO jump! Seriously though, the creativity in the levels and art is amazing and astonishing, and SuperPhillip Central will have its review for Yoshi's Crafted World in April, just behind its March 29th release date. 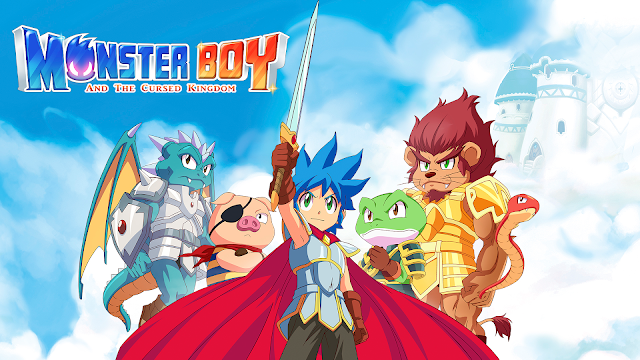 Monster Boy and the Cursed Kingdom released on the Nintendo Switch, PlayStation 4 and Xbox One not too long ago, with a PC release soon approaching. Recently, the game received a Nintendo Switch demo for all to enjoy, but if you're still on the fence on entering the kingdom, let SuperPhillip Central assist you in your decision with its review. 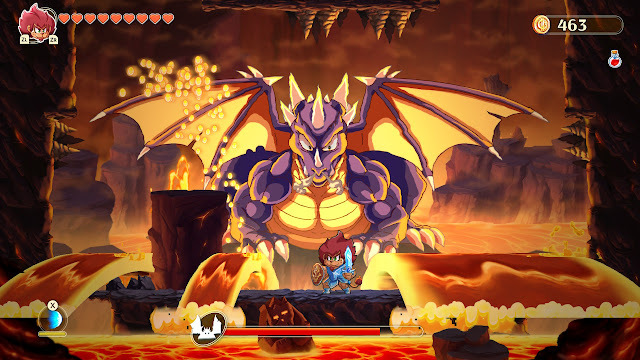 In Monster Boy and the Cursed Kingdom you play as Jin, a boy on a journey to discover why his uncle has turned the citizens of the kingdom into various animals. Upon running into his uncle along the way, Jin, too, is transformed into an animal, specifically a pig. This presents not only the goal of the game--to figure out why Jin's uncle went off the deep as well as restore the kingdom's people back to their human forms--but it also reveals the main gameplay twist within Monster Boy. Throughout the course of the game, Jin gets the ability to transform into different types of animals. Starting off with the pig, this form can sniff around for hidden doors and areas, ground pound, and sink underwater. Meanwhile, the snake form is small, able to fit inside narrow pathways that any other of Jin's forms cannot access. Then, there's the underwater-swimming frog, which can also use its tongue to latch onto objects, such as pegs to swing and launch itself across gaps. This latter transformation is really when Monster Boy and the Cursed Kingdom really opens up and truly becomes special. 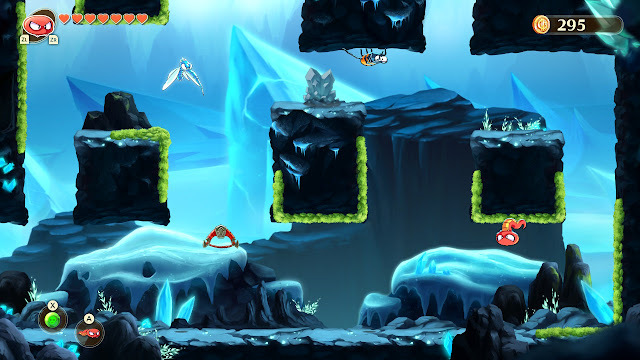 Upon being bestowed every transformation in the game, you can opt to select the animal form you desire by either cycling through them with the shoulder buttons, or better yet, pausing the gameplay by bringing up the transformation select menu, a ring of forms that you can hold the analog stick in the direction of the animal form you want to use. ...That is, until Jin's uncle causes Jin to make a pig of himself. As you progress in the game, each animal form learns additional abilities to access new areas within the game. This being a Metroid-style adventure and all, the world greatly opens up as Jin transforms into different animal forms and gains new abilities. It's a ton of fun to explore the world, return to previous areas to reach areas that were previously inaccessible to Jin in one of his original forms and be able to discover new upgrades such as new hearts for Jin's maximum health, an increased amount to how many times Jin can use magic moves, to name a couple examples. In addition to the transformations, Jin can purchase and upgrade his equipment, coming in five types: weapons, armors, boots, bracelets, and shields. Gems found in treasure chests throughout the world of Monster Boy and the Cursed Kingdom enable the ability to upgrade these, adding helpful benefits like fire-resistance, faster movement in mud and water, doubled discovery of coins, and much more. Thankfully, rather than overwhelm the player with all of the transformations, equipment, and upgrades all at once, Monster Boy and the Cursed Kingdom does a super job of slowly introducing these throughout the game's 10-15 hour length. (It took me 17 hours to 100% the game completely.) Of course, when you're at the endgame and find yourself with a plethora of abilities, transformations, moves, magic, and equipment at your disposal, it's easy to be a bit discombobulated as to how to progress--particularly in the game's many optional puzzle rooms for bonus treasures. Snake? Snake?! SNAAAAAAKE!!! ...Is the second transformation in Monster Boy. 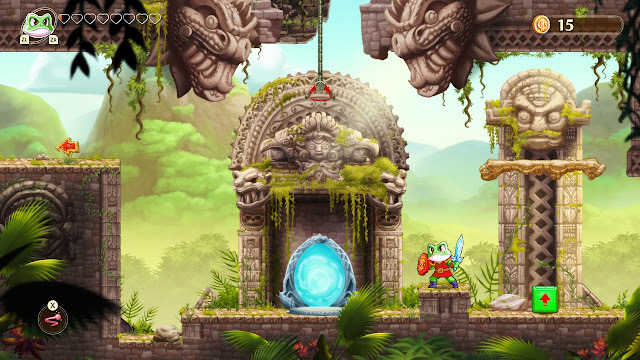 Monster Boy and the Cursed Kingdom is no slouch, much like the Sega Genesis and Master System games it's modeled after. Notably starting off with the game when you have a small amount of health available to you, the difficulty is quite pronounced. However, upon gaining more abilities and health to Jin, the challenge is lessened considerably. That said, there are still plenty of platforming perils and boss battles that will take a lot of skill to complete, but the plentiful amount of checkpoints in Monster Boy makes it so you'll seldom have to replay a lengthy section of the game over again upon death. The optional health potions--upon which you can have one at a time--can restore your health upon losing all your hearts as well. Once you gain access to the frog form, the game really starts to shine. I'd be absolutely remiss if I didn't mention one of the most amazing pieces to Monster Boy and the Cursed Kingdom aside from the especially enjoyable and entertaining gameplay and enormous and cleverly designed world within the game. I'm of course talking about the positively gorgeous presentation. The hand drawn art is brilliant, and the opening movie harks back to '90s era anime shows with its own specially dubbed English voiced song (delightfully cheesy and charming, much like those aforementioned anime shows of the nineties). I'm not "lion". Some of these boss battles are pretty tough! While I'm on the subject of music, Monster Boy and the Cursed Kingdom features a who's who of Japanese composers delivering some of the catchiest tunes from a game I've heard in quite a while--at least this past year in gaming. A combination of composers like Yuzo Koshiro of ActRaiser and Streets of Rage fame, Motoi Sakuraba who is well known for his work on Star Ocean, various Tales games, and numerous Camelot-developed games; and also Michiru Yamane whose best works come from the Castlevania franchise. 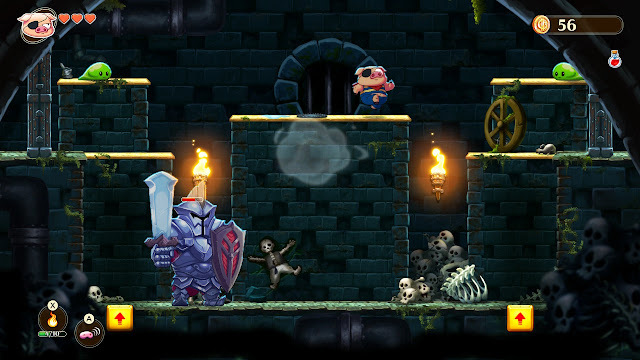 Her signature sound is prevalent and unmistakable in several of the game's more Gothic-inspired tracks, such as the haunted mansion area of Monster Boy. 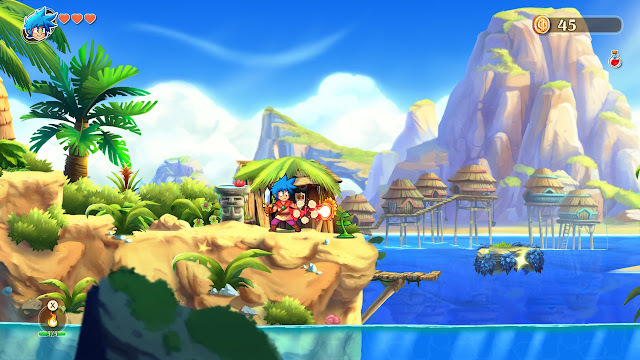 Overall, Monster Boy and the Cursed Kingdom is a game I wish I played when it originally released, as it would have easily made my Top Ten Games of 2018, bumping off Dragon Ball FighterZ without question. Regardless, if you can get over the old school difficulty curve at the beginning of the game as well as do enough exploring as to not get stuck with a Metroid Prime-like artifact hunt near the end of the game, Monster Boy and the Cursed Kingdom is an abundant delight that excited and enthused me with its lovely charm, gorgeous hand-drawn visuals, sensational score, challenging gameplay, and massive 2D world to explore. Announced for Japan in the past week, The Alliance Alive HD Remastered is officially heading to the West. Originally a Nintendo 3DS game, this remastered version of The Alliance Alive is due out this fall. As someone who was waiting on the 3DS original to drop in price, this seems like I lucked out by not jumping on the game when I had the chance. The latest from FromSoftware, Sekiro: Shadows Die Twice releases March 22nd, and ahead of its launch is this trailer for the game. If you're not looking to get spoiled by previously unrevealed bosses, then definitely don't watch this new trailer.